Based in San Francisco, Matt Nathanson has evolved into one of the premier songwriters and dynamic performers on the music scene today. His 2007 album Some Mad Hope (his first for Vanguard) yielded the smash single “Come On Get Higher,” which has sold more than 2 million copies to date, as well as the subsequent hits “Car Crash,” “Falling Apart” and “All We Are.” The success of Some Mad Hope earned Nathanson a coveted spot as a VH1 “You Oughta Know” artist, while also resulting in appearances on such national television shows as David Letterman, Ellen,Conan O’Brien, Leno, Jimmy Kimmel, Craig Ferguson, Dancing with the Stars, Rachael Ray and The CMA Awards to name a few. Additionally, his songs have been featured in numerous film and TV programs, including Good Morning America, NCIS, Private Practice, American Idol, X Factor,Vampire Diaries, American Pie and 90210. Modern Love, his previous studio album, debuted at #17 on the Billboard Top 200 Albums Chart and topped the iTunes Pop Chart. It featured the hit singles “Faster” and “Run” – the latter featuring Sugarland’s Jennifer Nettles and Kristian Bush. Nathanson’s legendary live shows, in which he displays a chic comedic flair, have resulted in sold-out tours across the U.S., Canada and Australia. 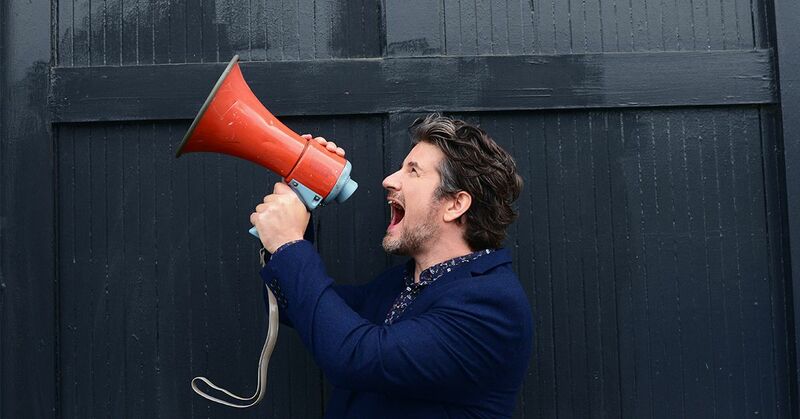 Matt Nathanson’s ninth studio recording, Last of the Great Pretenders, will be released on July 16th. The new album is available for preorder via MattNathanson.com, iTunes, and Amazon.com. Produced by Mike Viola and Jake Sinclair, Last of the Great Pretenders marks a dramatic progression for the acclaimed artist, who has created a richer and deeper work both musically and lyrically than any of his previous LPs – and that’s saying something considering the already rarefied level of his writing and performing. Songs like “Earthquake Weather,” “Kill The LIghts,” “Kinks Shirt,” “Sunday New York Times” and first single “Mission Bells” are precisely cinematic as Nathanson stirs the material with deftly placed pop-cultural references and vivid details drawn from his keen observations of everyday life, while topping each song with an emphatic and seductive chorus hook.